The city of Athens needs no introduction. Inhabited for more than 7,000 years Athens is the cradle of western civilization. It is the city where democracy was born and wise men of ancient times like Socrates and Aristotle strolled, conversed and philosophized about almost everything! 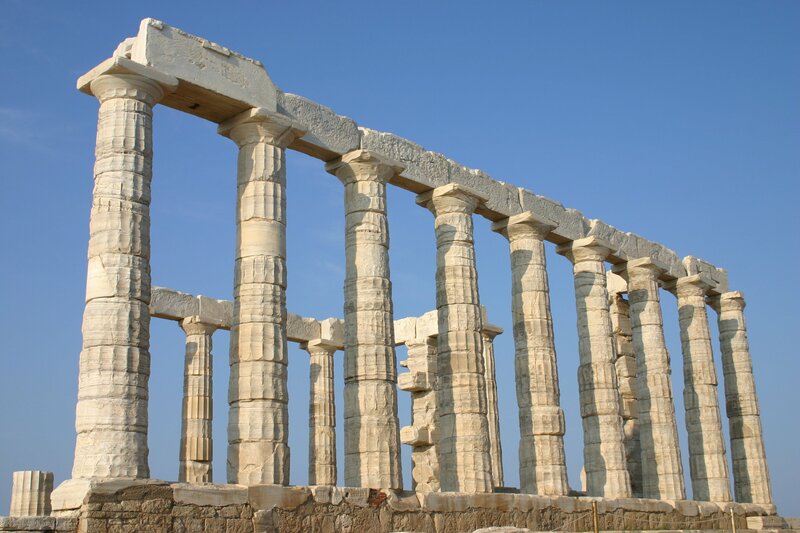 You can relive the feeling of ancient Athens through its superb archeological masterpieces. Athens’ cultural life invites its guests to travel back in time from classical antiquity to Roman times, the Ottoman Empire and up until today. Not many places in the world offer such rich, historic heritage and enjoy so much cultural diversity. Athens is always in season with comfortable and favourable climate conditions for travel and sightseeing. The weather in November is quite pleasant and the sea still warm for swimming or other water activities. 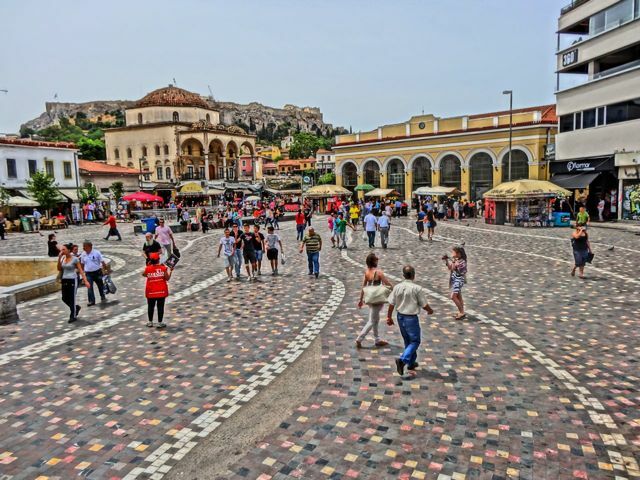 Cultural activities may include visits to Acropolis and the newly built Acropolis Museum, the numerous museums and archaeological sites scattered through the Attica’s landscape, concerts and shows, as well as leisure visits to the flea market and bazaar area, to the taverns at Plaka just under the rock of the Acropolis, or to the city’s many boutiques. The Athens Riviera is a dramatic stretch of Greek coastline usually considered to be in the Vouliagmeni suburb area. Vouliagmeni is a beautiful and picturesque peninsula, situated on the eastern edge of Athens (just 20 km from the center of Athens), known from the famous lake with the mineral water spa and an outstanding mild climate that makes all-year round holidays possible. Vouliagmeni is among the most expensive areas of housing real estate in Greece and Europe. Literally "high city," the Acropolis, is Greece's great marvel. Ascend through the olive groves of the lower slopes to reach the marble crown, before passing through the Propylaia gateway. You'll see the Temple of Athena Nike, the Erechtheion and the Parthenon along with numerous fragments arranged for reassembly. The state's grand plan is to put right centuries of sackings, lootings and decay. 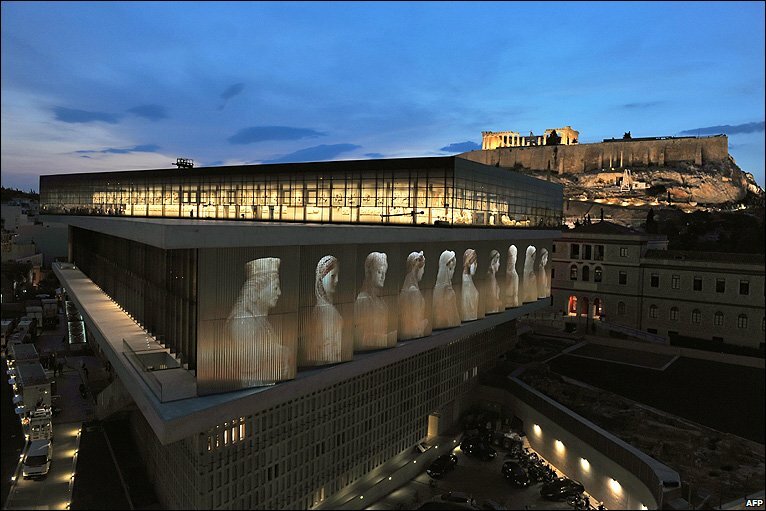 The Acropolis Museum (Mouseio Akropolis) is an archaeological museum focused on the findings of the archaeological site of the Acropolis of Athens. The museum was built to house every artifact found on the rock and on its feet, from the Greek Bronze Age to Roman and Byzantine Greece. It also lies on the archaeological site of Makrygianni and the ruins of a part of Roman and early Byzantine Athens. The Nicholas P. Goulandris Foundation - Museum of Cycladic Art is one of the great museums of Athens. It houses a magnificent collection of artifacts of Cycladic art. The museum was founded in 1986 in order to house the collection of Cycladic and Ancient Greek art belonging to Nicholas and Dolly Goulandris. Starting in the early 1960s, the couple collected Greek antiquities, with special interest in the prehistoric art from the Cyclades islands of the Aegean Sea. The Museum's main building, erected in the centre of Athens in 1985, was designed by the Greek architect Ioannis Vikelas. In 1991, the Museum acquired a new wing, the magnificent neo-classical Stathatos Mansion at the corner of Vassilissis Sofias Avenue and Herodotou Street. Of all Athens' ruins, the famed marketplace of Agora makes the most fitting start to your sightseeing — it stands testament to Athens' status as a cradle of Western civilization. It was, in Socrates and Plato's day, the heart of public life, and among the site's extensive excavations you'll find temples, a concert hall and long, colonnaded arcades. On Sunday morning, make your way to the flea market at Avissynias Square for a jumble of curios, from books to paintings, clothes to trinkets. Afterward, cross Athinas Street to Psiri, where interlocking streets secret away a wealth of galleries and vintage stores. The shape of the lake is oval, the bottom does not exceed 16 meters and its surface is half a meter above the sea level. The water is fed from both underground springs and the sea, and therefore is brackish. At the bottom of the lake, there is the entrance of a labyrinthine underwater cave at least 3,123 meters long in limestone area. In this region there is the largest underground tunnel in the world with a length of 800 meters, a width of 60 to 150 meters, while its average depth reaches 80 meters. The total length of the 14 underground tunnels of the cave reaches 4.3km. According to researchers, this impressive shape is the result of various geological alterations which cannot be identified in time. At the spot where now the lake stands, there was a huge underground cave within which abundant water was running at high temperatures, which eroded the walls, resulting in the decline of the roof of the cave and the submersion of the massif. During an exploratory dive into the underwater cave of Vouliagmeni a huge stalagmite was discovered. This geological monument is located at a depth of 105 meters, about 730 meters from the entrance of the cave. This discovery has completely changed the theory for the Mediterranean Sea being recently formed as stalactites are never created below the water surface.